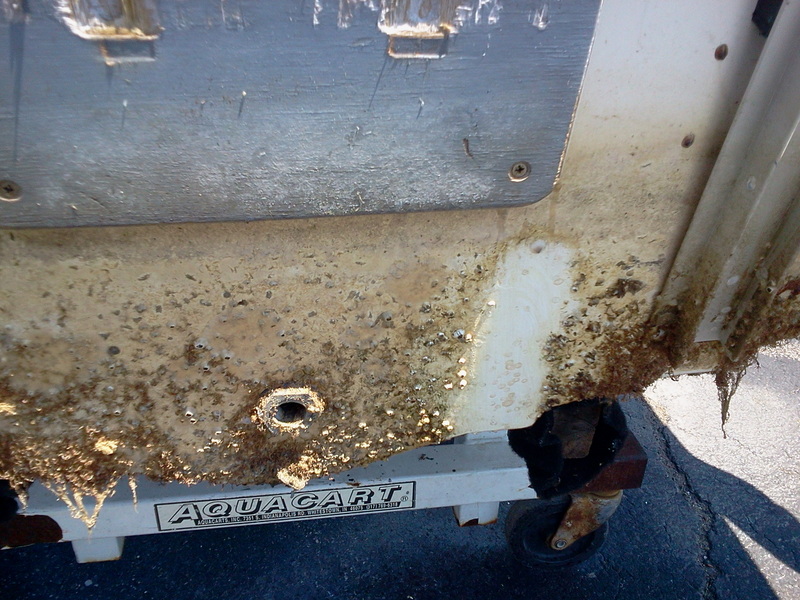 Orange Off Fiberglass & Plastic Hull Boat Cleaner, Ablative Bottom Paint and Barnacle Remover with 6″ x 9″ scrubbing pad. 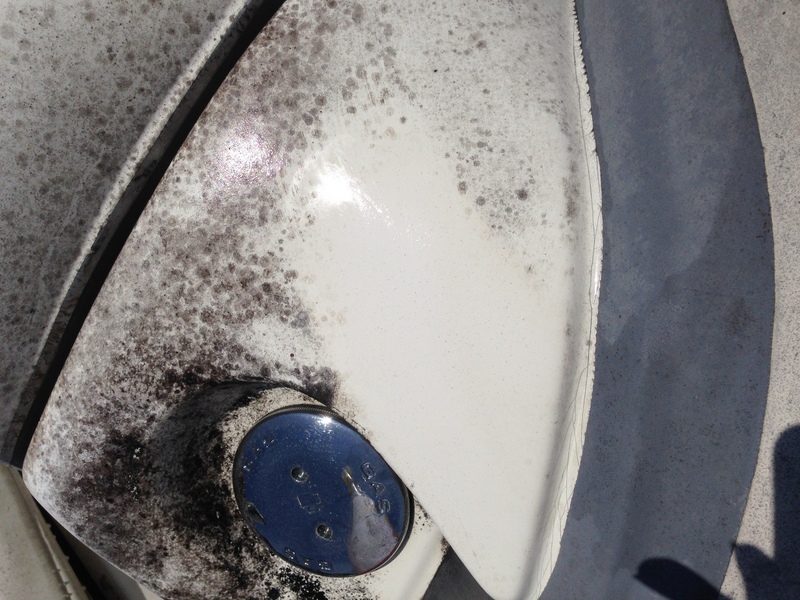 Watch dirt, mildew and oxidation melt away! Orange Off Fiberglass & Plastic Hull Boat Cleaner, Ablative Bottom Paint and Barnacle Remover with is perfect for power boats, sailboats, kayaks and canoes. Orange Off is a concentrated, biodegradable citrus cleaner and degreaser made from D’limolene, an ultra powerful cleaning chemical that is derived from the cells of orange peels. Orange Off’s emulsifier safely dissolves adhesives, barnacles, growth, exhaust stains, grease, oil, lime deposits, rust, oxidation and waterline stains and is considered the “Goo Gone” of the marine industry. Orange Off contains no synthetic chemicals, petroleum distillates or harmful detergents which damage or scratch plastics and fiberglass. If you don’t find that Orange Off is the most effective fiberglass cleaner on the market, simply return the unused portion for a full refund. 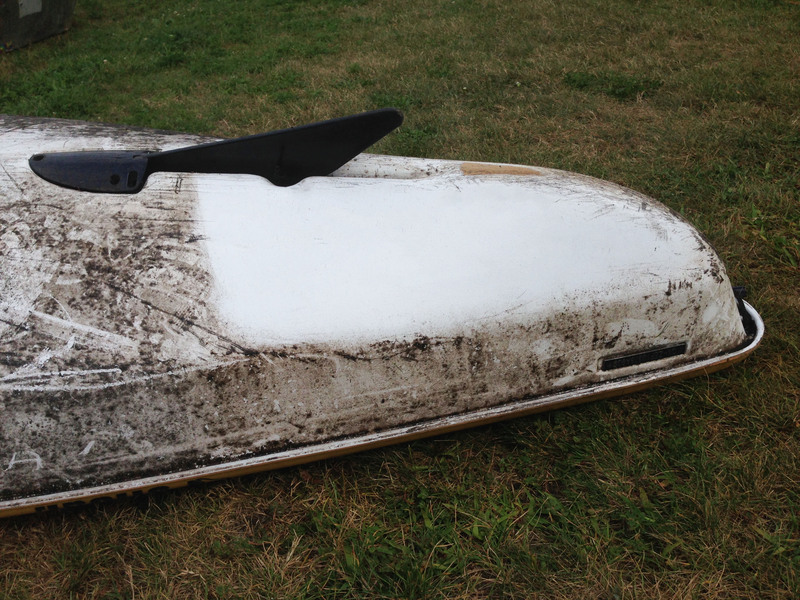 Also works on plastic and injection molded kayaks and boat hulls as well as ceramic tile and fiberglass tubs and showers. Removes stubborn sunscreen stains as well. A 6″x 9″ scrubbing pad is included. Naturally orange scented. Gloves are recommended. See related products below for additional scrub pads. I am very surprised not to see any reviews on this stuff. I got a bottle of this from one of the older guys in the marina and he swore by it. I never thought anything of it and it sat in my dock box for the season. The beginning of the next season I had some bad staining that was not coming off easily. I gave this stuff a shot, and I have to day, wow. I moved on to an old adhesive stain that has been on the boats deck since I bought it, bam, gone. Holy Crap. So then I took it over to my marine grill and rubbed a little on the outside. 20 min later I came back to find a puddle of water and orange off in the grease tray. All the grease was floating and it wiped off like it was brand new. This stuff is incredible. I will be getting more, and this might be the only place I have found it. Thanks to Bixler’s for a great product that did not disappoint. PS it works better the longer it sits. 303 Aerospace Protectant "SPF 40 SUNSCREEN" for your Inflatable boat available in gallon size. Use Clifton PVC one-part adhesive to repair PVC and Urethane inflatable boats and rafts as well as underwater swimming pool liner repairs and waterbeds, 4oz can.